Baseball players play 162 games per year. The average player gets approximately 155 hits per season, or one hit per game. The really good baseball players get about 185 hits per season. Superstars crack 200 hits per season. In other words, the difference between being good and being a Hall of Famer is only about 15 hits per season. Think about that. There is a fine line between being average and excellent. The Red Sox’ Reggie Smith was very good, but the Yankees’ Reggie Jackson was great! The only things that separate Jackson from Smith are approximately 15 balls that could’ve taken a bad hop in the infield or traveled 5 more ft. over the fence. Similarly, in the pest management industry, there’s only a whisker of difference between good and great companies. Returning phone calls, friendly service, effective treatments, and being on time, all play a role in whether your company grows quickly, slowly or not at all. When I started my company, I had no clue how fast I could, or should, grow my business. I was just trying to pay the mortgage on time. As one year turned into five years, I noticed that Schopen Pest Solutions was growing at a rate of about 15 percent per year. Being a stats guy, it got me thinking about where my business would be in 20 years if I continued at the current pace vs. where my company would be if we grew at a faster rate. Now we’re one month away from my 10th anniversary, and I don’t worry about the mortgage anymore. Instead, I am contemplating my retirement strategy: When can I put my flashlight in its holster for the last time? At the start of 2015, I jotted down some numbers on where my company must be for me to retire in 15 years. Growing at a 20 percent clip, Schopen Pest Solutions will be at $10 million by the end of 2029. That’s Reggie Smith good. But if we are able to grow at a measly 5 percent more per year, the numbers are staggering: If Schopen Pest Solutions can hit 25 percent growth each year, we would top out at well over $18 million (Reggie Jackson good)! What is really exciting is those numbers are attainable. This past year, we had several months in which we were hitting 30 percent growth over the previous year. If we’re able to sustain 30 percent growth, the overall figures are breathtaking. At 30 percent, Schopen Pest Solutions would grow into a behemoth and hit $33 million by 2029 (Babe Ruth good)! So, how do I get the extra 15 to 20 customers (base hits) that I need to be Hall of Fame good? Listed below are some of my strategies for getting and retaining clients. Some of these we’ve talked about before, but as Schopen Pest Solutions grows, my opinions and ideas change — so it’s good to re-evaluate. Get the phone to ring. Five years ago, most of my advertising was in phone directories. Now I only have three small ads in three books. Most of my sales originate from online search companies such as Home Advisor, Angie’s List, Google, Reach Local and Exterminator Networx. Once the phone rings, you must answer. I know this sounds absurd, but I’m amazed at how many pest management firms simply don’t call clients back. Every new client for Schopen Pest Solutions still comes to my phone first. Obviously, during the summer, I can’t get to every call. Last June, there were some days when I had more than 20 voice messages on my phone. But I never went home without calling back every single inquiry. I hear from new clients all the time, “You were the only person to call me back.” If I don’t get through to the client on the first try, I write a note to myself to call back at the end of the day or early the next morning. I’ve called clients as early as 7 a.m. and as late as 9:30 p.m.
Find out how new customers learned about you. If they were a referral, I’ll send the referring party “Bug Bucks” — a $25 voucher in the mail toward a future visit. The clients love them. The more they love about you and your company, the harder it is for them to leave you for another business. Send thank-yous. Our personalized thank-you letters include future visit dates, times, costs and soft sells for our other products, such as power sprays, ant treatments or outdoor rodent service. I also include a magnet with the new customer’s regular day and time listed on the magnet. Many of our customers have their magnet proudly displayed on their refrigerator, reminding them of their next visit. Use social media. Recently, I went to a home in Burlington, Wis., that had springtails by the thousands all over their yard, in 2 ft. of snow. I recorded them jumping between snow banks, and then sent it to my Facebook page. I do the same thing for yellowjacket nests, spider webs, etc. My friends and relatives love it, and they share it with their Facebook friends. I’m becoming the go-to-guy for pest questions in an ever-expanding circle of influence. 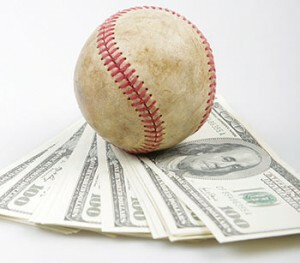 To me, my company is very similar to my favorite sport, baseball. You’re never going to bat 1,000. But work hard, be consistent and aim high, and maybe you’ll be the next Jackie Robinson of pest management. Start-up: Schopen Pest Solutions Inc. Founder: Peter F. Schopen Jr. NOTE: We’re off to a record start for 2016. January was more than double same month 2014! Pete Schopen is president of McHenry, Ill.-based Schopen Pest Solutions. You can reach him at 847-529-BUGS or pete@schopenpest.com.